Find new information on how to use travel as a unique way for personal transformation. Receive an insight on how to use travel to create meaningful life of self-renewal and integration. Please subscribe to RSS Feed to get valuable guidance on how to prepare for several stages of travel and develop a mindset of authentic traveler. And let self-discovery journey begin! Travel shows you your inner self. Continue reading "Travel shows you your inner self." Reasons for travel after divorce may not be obvious, but they are very compelling for self-recovery, rejuvenation and shaping a clear strategy for the future. Continue reading "Why Travel After Divorce Is A Good Way To Rebound"
Hiking In Nature For Mental Health. Take A Hike In Nature For Mental Health, Emotional Balance and Overall Well-being. Stanford University proves connection. Continue reading "Hiking In Nature For Mental Health." Finding Purpose In life Could Be Behind Impulse To Travel. Could It Be That Finding Purpose In Life, A Deeper Search For Meaning Is Behind An Impulse To Travel? Continue reading "Finding Purpose In life Could Be Behind Impulse To Travel." Walking Alone — Surprising Benefit Of Travel. Surprising Results From Walking Alone. Another Reason To Get Out Of Your Office Or Home. Continue reading "Walking Alone — Surprising Benefit Of Travel." The Difference With The Travel Alone. Instinctively we are magnetized to a process of leaving behind something ordinary and predictable, plunging into a world of fresh sensation of feeling alive — attuned and responsive to the new sights and perspectives that suddenly meet us — the whole process of travel. That is perhaps what we are looking for when we choose the road. Yesterday by a fortuitous accident I got off the bus about 35 kilometers past my intended destination. I missed the sign and when more than expected time passed, I realized that I was in for some surprise - the adventure of travel. When I got off the bus, I felt that there was nothing to distract me from feeling my inner excitement and subtle urgings of panic. The precious flow of surrender and self-encouragement of staying calm felt palpable and without denial. 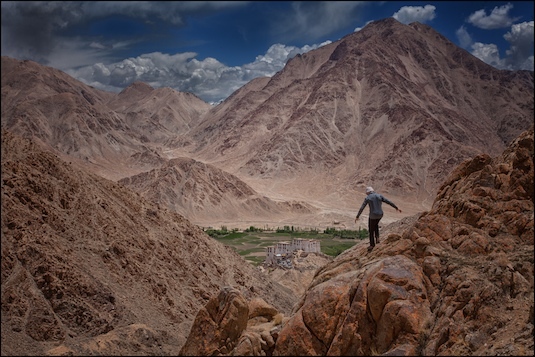 I was walking toward Chomdey village with a gompa perched on the cliff below the granite mountain range. I was going there to explore feeling a full extend of the gaping uncertainty for my return to my guest house at the end of the day. Serene feeling of surrender. That is the difference when the travel is occasionally done alone — you feel that all escape routes are sealed and you left with a rare opportunity of dealing with yourself. Many kind of previously unnoticed conclusions and habits of avoidance may show up and if we have the courage to meet ourselves bare, we will be richly rewarded with the secret access to our real way of being without a mask. A space of profound friendliness with ourselves, which when encountering others, offers them the place to be exactly where and how they are - the most powerful condition for true friendship.Travel alone leads us not toward escape from our fears and places within ourselves that are hard to accept; it leads us precisely to that precipice where all options might be excluded, except facing ourselves unconditionally with love. 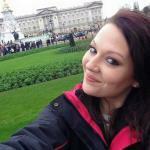 Help Process Loss Of Mother With Therapeutic Travel. Continue reading "Help Process Loss Of Mother With Therapeutic Travel." Follow Your Life Purpose To Unprecedented Heights. The importance of connecting to the inner force of genuine motivation could not be underestimated. This is what makes a natural progression toward realization of a worthy ideal, what Earl Nightingale called a success. It could have many forms and shapes, but the essence of success is the same — a realization of a meaningful goal. 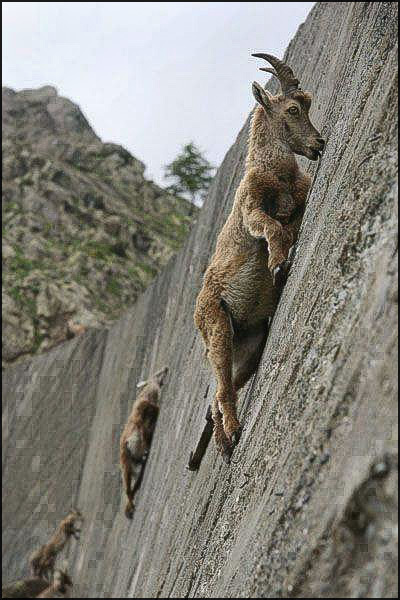 Like these climbing ibexes of Paradiso National Park in Northern Italy that go up dizzying heights led by their taste for mineral deposits, those connected to their life purpose will experience moments of inner power to do impressive acts naturally. We reveal our life from within. We give direction to our inner power to create through consistent relationship to a chosen purpose. This is what gives us life with meaning and purpose, a consistent repertoire of adventure rising as feeling of being alive. Having placed a distance between the routine of daily grind and a place of unburdened presence within travel affords us a good perspective on direction of life. Continue reading "Follow Your Life Purpose To Unprecedented Heights." Hidden Power Of Optimism To Create Meaningful Life. How To Understand And Harness Inexhaustible Power Of Optimism To Fire Up A Good Meaningful Life. Continue reading "Hidden Power Of Optimism To Create Meaningful Life." Mastering The Fear Of Unknown. Fear Of Unknown Hinders Sense Of Curiosity And Adventure In Life And Travel. How To Understand And Dissolve It For Greater Freedom Definition. Continue reading "Mastering The Fear Of Unknown."